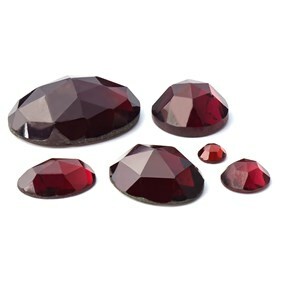 Shop our range of garnet gemstones below including cabochons, faceted stones and beads for your jewellery designs - including Rhodolite, Tsavorite, Mozambique and African garnets. 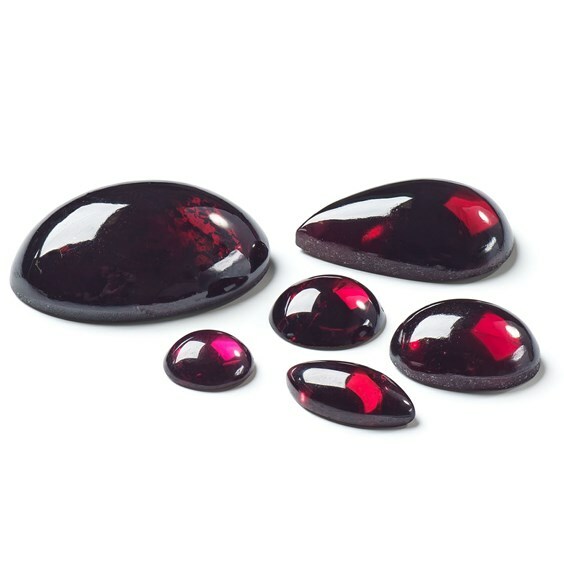 Garnet is made up of a group of several closely related minerals, this is why you'll find garnet in a variety of colours. 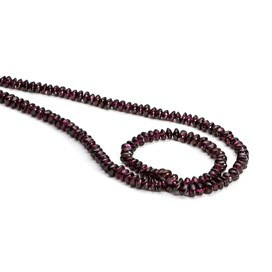 The main colour is a dark red, but others include rich green Tsavorite and pink plumb Rhodolite. 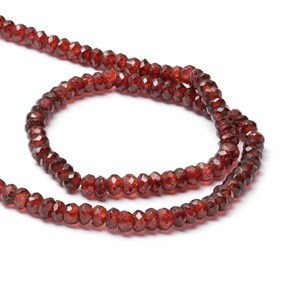 Garnet comes from the Latin word 'Garanatus', which means 'seedlike' - referring to a pomegranate due a garnet's similar appearance to the seed. 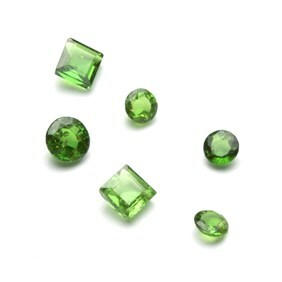 It is mined in India, Sri Lanka, China, Madagascar, Australia, Brazil and USA. 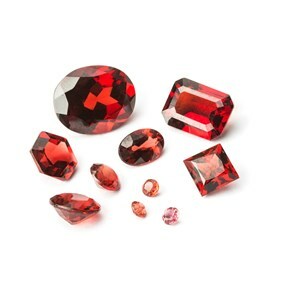 It measures 6.5-7.5 on Moh’s scale of hardness and is the birthstone for January. 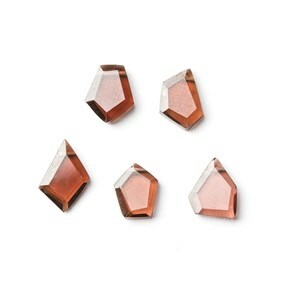 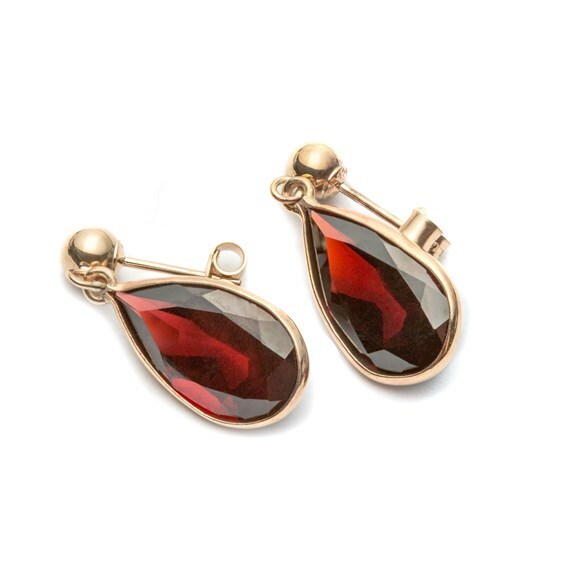 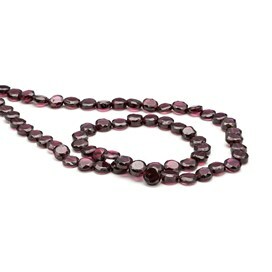 Garnet is well known for its durability, which makes it a great gemstone to work with. 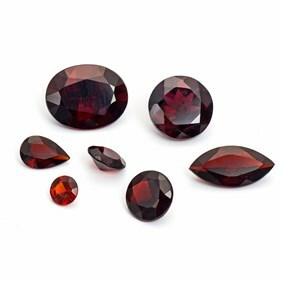 At Kernowcraft, we have a huge variety of garnet gemstones including Rhodlite garnet, Mozambique garnet, Tsavorite garnet, African garnet, Indian garnet and more. 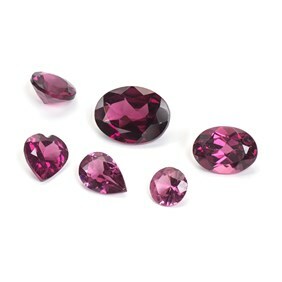 We also have a range of shapes and sizes of garnet faceted stones, including garnet hearts, marquise, hexagons and teardrops. 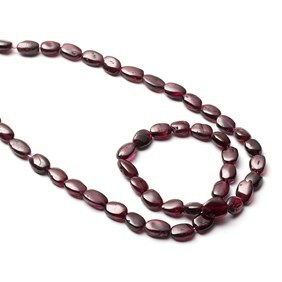 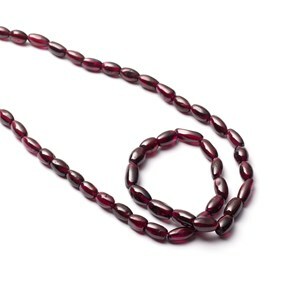 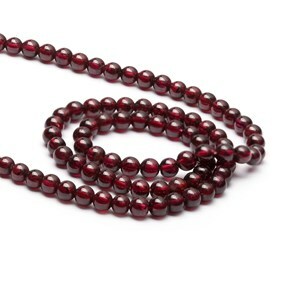 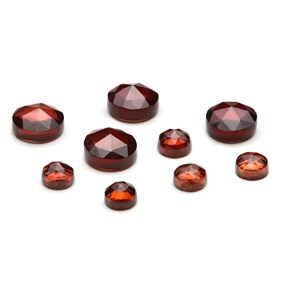 We also have a range of garnet bead shapes, including flat oval, round, flat coin, barrel and rondelle beads. 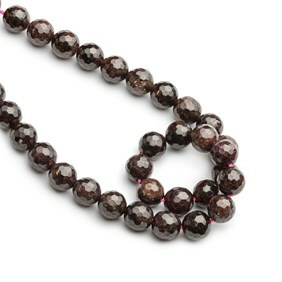 Garnet is said to be a stone of regeneration which can boost and revitalise one's energy.